The city’s hottest new food truck has arrived this week! The food truck features trendy ingredients like lamb, purple carrots and coconut oil. 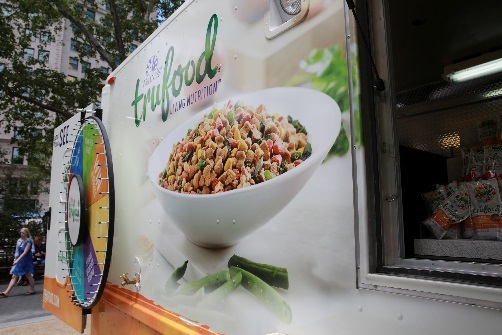 The Wellness TruFood Wagon could have dinner for your pet! Yep, that's right... Not for you, but for your pet. A farmer’s market food truck for the most epicurean of pets, the TruFood Wagon has made its way to the east coast after traveling across the U.S.
To recognize National Dog Week, the wagon features an agility course, samples of the new gourmet Wellness TruFood, a chance to win a year’s supply of pet food, prizes from a spin-to-win-wheel, a doggy drink station and a whole lot more! 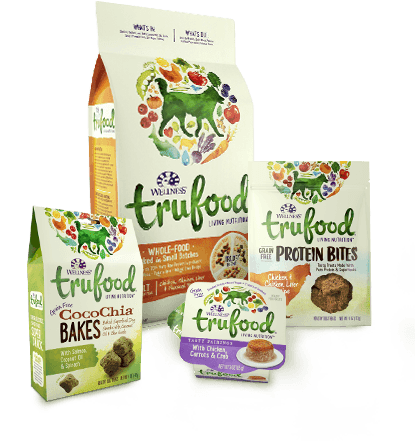 Wellness TruFood is a brand new natural pet food made with whole foods such as whole prey protein, raw produce and antioxidant-loaded super foods. It's made with colorful ingredients you can see like chicken, beets, coconut oil, kale, pumpkin and live active yogurt cultures, TruFood recipes provide pets with the vibrant, natural nutrition they need to stay happy and healthy. Which Location do you plan on taking your Furry Companion to?